Our Advisory Portfolio Management service serves to cater investors seeking investment solutions and investment recommendations on their investment portfolio. We offer investors well-research investment themes and investment ideas which take into consideration of their risk profile, investment objectives and risk parameters. We will advise them of any changes we think are appropriate and we are responsibility for overseeing their entire investment portfolio on an ongoing basis. However, we only execute the transactions at the consent of the investors and we will arrange the transactions accordingly. We offered Investors an open architecture structure and investors has the right to choose the custodian bank where they like to custody their investment assets and accounts. 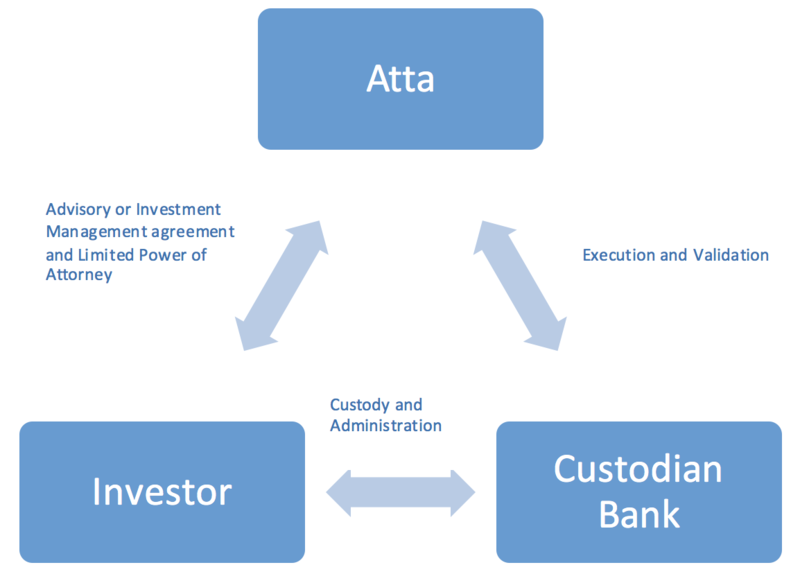 We manage investment portfolio according to the mutually predetermined parameters at investor’s custodian bank based on the Limited Power of Attorney. The Limited Power of Attorney allows us to manage the assets more efficiently yet we don’t have power to transfer assets out of the account.